Open by chance at the farm. We have a self serve stand on the east side of Birches Road adjacent to the farm. 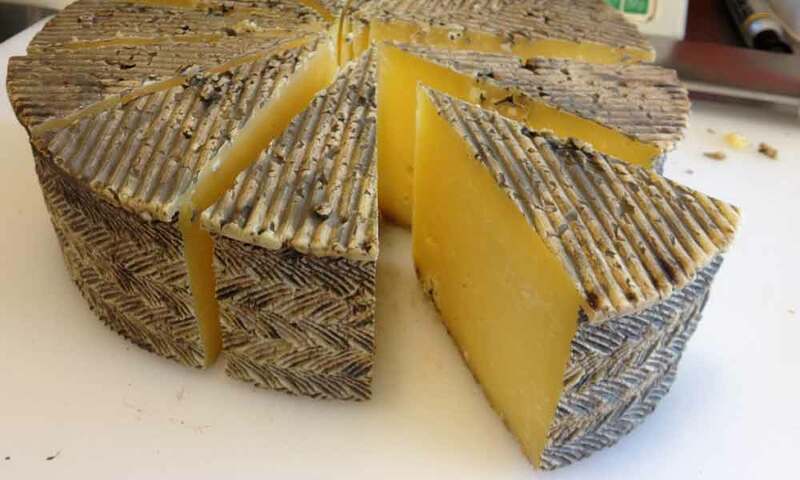 Since 2015, Carrie Whitcomb has been making cheese with Springdale Farm milk, specializing in Fresh Cream Cheese, a delightful Triple Cream Brie and Queso Tencho, a popular melting cheese. The Whitcomb family invites you to take a trip out to Waldo, and visit our new Farm Store. 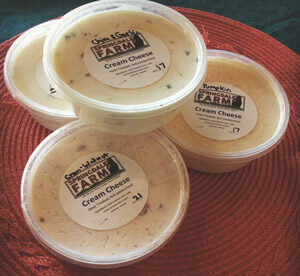 We stock all 8 of our cream cheese flavors along with other cheeses made with Springdale Farm milk. We also have a freezer, fully stocked freezer with our beef, rose veal, pork and sausages! 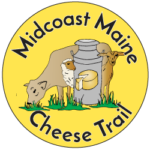 The Whitcomb dairy farm was founded in 1917 by Eben and Nellie Whitcomb, and has been managed by succeeding generations since that time. In 1951 their son Colby, with his new bride Lois (who had grown up raising Guernsey cows in Chesterville) bought land adjoining the family farm and named it Springdale after the many springs bubbling up out of the ground. Colby and Lois’ granddaughters, Carrie and Holly Whitcomb, took over management of the farm in 2011, and are taking it back to its roots by direct marketing products much as Even and Lois had done. Holly manages the cows, and Carrie is the cheesemaker, among many other tasks. Both can be found building fences from April through November. Rotational grazing has been the cornerstone of Springdale since the 1970’s, and at the height of the grazing season a trip down the Birches Road in Waldo will reveal over 150 acres of pasture, and many happy cows!